Council History Council Size Degree Teams? Who do I call to join? To contact WEBMASTER e-mail RON click on name! 1 - Please ask G.K. in advance if you need advance funds for event. but immediately remit funds only to F.S. on regular basis. 3 - Event report must be filed within two weeks following event conclusion. Our Council is a Parish Council and a very active one. Many of our Knights are Ushers, Lecturers, Eucharistic Ministers, choir members, and some also serve as members of Our Parish Council. We support the Parish and our Clergy as well as the Archbishop. We sponsor a seminarian who is currently studying for the priesthood in the Dominican Republic. We have sponsored five young men over the past fifteen years. Thirteen of our Brother Knights are also permanent Deacons. We have regularly scheduled Knights Masses, and Communion Breakfasts. We support a very active Youth program in the Parish, as well as the NET group, bursaries for the local high schools, and this year had over one hundred sixty participants in the K of C basketball free throw competition. We support our acolytes with an altar servers picnic, a day at the ballpark, and a special communion breakfast where we raise funds to support their activities. Many of our Past Grand Knights have gone on to become district Deputies or serve the State Council as Directors of various committees. We have an extremely active First Degree team, a Second Degree team that is made up of a majority of members from our Council and have a significant presence on the Third Degree team. We routinely raise money for pro life groups such as the Miriam Centre who care for young women faced with unplanned pregnancies. The Knights of Columbus believe that the call to cherish and support life from conception to natural death comes from the Gospel of Jesus Christ itself.” Information regarding the Pope's Pro Life Manifesto, KofC Pro Life Initiatives, as well as important Pro Life Web Links. We have many social events at which the local community is invited to participate and do so in large numbers. We sponsor a family in India, and a foster child in the Philippines and a seminarian in the Dominican Republic. We have built an addition on to our church hall, organized clean up and fix up work parties and willingly help out when the Parish or community is in need. During the "Ice Storm of 98" many of our Brother knights spent countless hours helping those in need. Some of our Brother Knights run a Karate class for youngsters in the Parish. We also know how to have fun, like our New Years Eve Dance, sleigh rides, Octoberfest, Bowling, and many others, but perhaps the two favourites are the annual Surf & Turf, and our highly acclaimed "Ladies Night Out" where our favourite ladies are treated to a multi-course feast hosted by the Knights at a festival that includes music and entertainment. We also sponsor evenings where guest speakers come in to enlighten our families and friends on a variety of subjects. As our Chaplain has said on many occasions, we are his right arm when work needs to be done. As a reminder to the parishioners of what the KofC mean to this parish, there is a three panel stained glass window over the main doors to the church depicting family and pastoral scenes and includes references to the four principles of our Order, "Charity, Unity, Fraternity and Patriotism." Click on any underlined item in the above paragraph for pictures. Divine Infant Council was chartered on October 7, 1981. Our original Council began with 49 dedicated members and has grown constantly. We are a parish Council located in Divine Infant Parish, Orléans, Ontario, Canada, part of District 66 and of the State Council of Ontario. 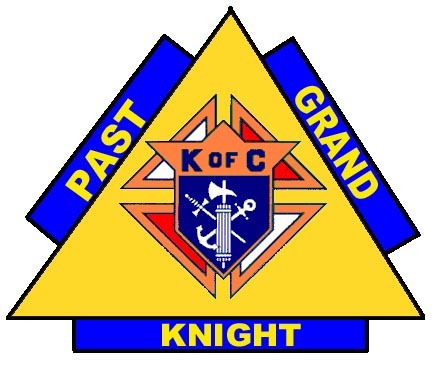 From the very beginning, the goals were set high and thanks to a succession of dedicated Grand Knights we have always surpassed our goals and achieved a reputation as a Council on the move. This is due in large measure to the dedication of every Knight who joins our Council. Our motto is "Every Knight an Active Knight." Our Knights are highly supportive of Divine Infant Parish, the community of Orléans and of course Our Council and the worldwide Brotherhood of the Knights of Columbus. Ron Arsenault, Pat Beasley, G.J. Beaubien, Keith Boyden, Jerry Brooker, Nilo Cachero, Moe Caza, Steve Caza, Ken Charlebois, S.Y. Costello, Ron Cronier, Des Curley, F.M. DaCosta, Ron Delaney, Jerry J. Dobra, Rev. W.M. Egan, Brian.C. Farr, J.R. Fitsgibbon, Brian Fortier, Don Gallivan, Don Grenier, Art Hassler, Rev. M.A. Hurtubise, Jim Jenkins, Al Jimmo, D. Keating, Steve Kendall, J. Kenny, T.F. Kiery, Tony Kozij, Loch Lalonde, Y.H. Lamorre, Bob Laplante, Denis Laporte, Richard Luckasavitch, J.R. MacDonald, R.T. MacKachern, Bob.McGarry, Moran.McMahon, Pat.McNulty, Owen J.McPolin, Bill Muir, Robert Orser, Gerry Pembroke, R.L. Pilon, Mac Savoy, Keith Siddons, Pierre Seguin, G.H. Sommers, John Sullivan, J.G. Sullivan, Pat Valiquette, Ed Volek, Carl Ward. Divine Infant Council currently consists of approximately three hundred members! 6658 Bilberry Drive, Orléans, Ontario, K1C 2S9. Orléans is located in the east end of the newly configured city of OTTAWA, our Nation's Capital. Orléans is actually a suburb of the City and one of the fastest growing communities in Canada. The population of the Ottawa Region has just passed the one million mark. Ottawa forms part of the "Golden Triangle" Ottawa, Toronto and Montréal. Among many other awards, Divine Infant Council won the coveted "STAR COUNCIL AWARD" for twenty seven consecutive years, beginning from its inception in 1981 till 2007. We believe that this was due to the challenging and varied program run each year which is based on the excellent guidelines provided in the "Surge with Service" program instituted by Supreme Council and due to the dedication of the Grand Knights and the executive who continue to lead us in living Columbianism in our daily lives. Our Council has also won the Ontario Trillium Award in all but one of its years as a Council. We have also won Best Council Award, and various other awards too numerous to mention here. Our First Degree team was formed during the first year of our existence and continues to provide the exemplification for this and many other Councils in the Ottawa area. We formed a Second Degree team the second year of our existence, made up mostly of members from our Council, augmented by a few members of other Councils within District 66. The Third Degree team from the Ottawa area has a significant number of members from our Council who form an integral part of the team. Our Council is currently working on its next STAR AWARD. We won our first award under Charter Grand Knight, Brother James R. Jenkins PGK, FDD, and have tried to improve each year. It is a tribute to the many Grand Knights that have followed Jim, that they have grown the Council both in terms of numbers and commitment to excellence. In following the guidelines as outlined in the "Surge with Service" as provided by Supreme Council, we have enjoyed meeting the challenges, and have recruited many new members to grow our Council. We challenge other Councils to use these guidelines, and have your Council "make the difference" in your Community and Parish. These guidelines not only help you have an impact on society, but as a result, you may earn this prestigious award for your Council. WE SUPPORT OUR PRIESTS AND SEMINARIANS: Jesus Manuel de la Rosa Perez, was ordained a priest on May 31, 2003 in the Dominican Republic. We wish him well in his new parish. Our next ordained priest is Kelly Boyden ordained last year, now serving with the Canadian Armed Forces. The latest seminarian who has become a Priest is Luc Lazarre is from Haiti but is currently located in the Dominican Republic..
DIVINE INFANT PARISH on their twenty-fifth anniversary, honoured ten "pioneers" that were responsible in large part for the creation of the parish. It is indeed fitting that six of the ten pioneers are members of Knights of Council 7873 demonstrating that we are proud supporters of this parish since its inception. Subsequent years have seen other knights enrolled in the same ranks of the Divine Infant Parish. This trend has been carried on from year to year and it is worthwhile to review the past honourees who are inscribed on a list located on the wall in the church. The plaque for the "Knight of the year" reads: "In sincere appreciation and recognition of outstanding Service, Loyalty, and Devotion to Divine Infant Council." This inscription is self explanatory and this year's recipient of the Title " Knight of the Year " is truly a reflection of that inscription. He has carried out the duties entrusted to him with skill and vigour. He has guided others to carry out their appointed tasks while ensuring that things were done as required. Serving as a Financial Secretary, he has always served faithfully and with honour. For these reasons Brother Adam Lyon has been selected as 2017-2018 Knight of the year. Adam has always been one of our hardest working Knights. He has proven again and again a dedication to duty that sets him apart from the norm. He's always ready to pitch in and help, and leads by example as per his participation at special occasions and planning committees. Much of the work he does takes place after the regular meeting. He is always wearing a smile as he goes about his work never complaining or expecting a reward. We need more men like Adam who are willing to put their shoulder to the wheel and get the job done. An honour well deserved! Congratulations Adam, you can be proud of the way you handled the extra duties and served your brother knights and we are sure, shall continue to do so in the future. Business meetings take place on the first Tuesday of each month in the Parish Hall of Divine Infant Church. You are welcome to join us prior to meetings (after 7pm) to share our fraternity and camaraderie. Business meetings start at 20:00 hrs following the evening Mass. Our second meeting of the month is held on the third Thursday of each month at the same location and same time. N.B. Only Third Degree Knights in good standing may hold executive position(s) follow sec112 for balloting. All individual ballots for membership shall be secret: i.e. by written ballot, with the GK and DGK inspecting the ballot box before each ballot. If more than one candidate is to be balloted for at a meeting, the Grand Knight MAY announce that the first ballot shall be a general one upon all the candidates, and that if not more than one half of those present and voting shall cast negative ballots upon such general ballot, no other ballots shall be taken and all candidates shall be declared elected. If negative, then Section 112 shall be invoked with individual balloting for each candidate. Knights Of Columbus Council 7873 MAIL BOX for your convenience is located beneath white board in church vestibule at back of church. You may deposit notes or letters to Council, address changes, your dues ( NOTE only cheques NO cash), or if you are volunteering to serve on a committee please drop your name in here, or any ideas or comments you may wish to convey to the executive of the Council. This box will be checked on a regular basis by the Grand Knight. is District Deputy of "District 66"
Members of the Third Degree who are interested in receiving more information or of joining Bishop John Beahen Assembly can contact any of the above, or sign on to their web site. WHO CAN BECOME A KNIGHT ? All priests and religious Brothers having duly made application for membership and participated in the ceremonials become "honorary life members" of the Order and are exempt from payment of dues. If favourably voted upon, the applicant becomes a member by initiation known as the First Degree. He subsequently is advanced through the Second Degree and the Third Degree. There are modest initiation fees and dues set by subordinate councils under regulations established by the Supreme Council. Divine Infant Council annual dues are currently set at $50.00 for regular members. Insurance privileges are available to all members who can qualify, which represents an important advantage of membership. For men in every walk of life the name Knights of Columbus engenders the image of a united organization, efficiently going about it tasks of charity, unity, fraternity, patriotism and defence of the priesthood. It is composed of men who are giving unselfishly of their time and talents in service of God and their country. 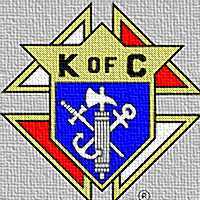 Membership in the Knights of Columbus provides opportunity for wholesome association with congenial companions who are, first of all, practical Catholic gentlemen. It offers the opportunity for fellowship with those who are of the same belief, who recognize the same duty to God, to family and to neighbour and who stand side by side in defence of those beliefs. Programs are so organized as to appeal to the individual interest of the members. Through many constructive activities of Christian fraternity, members are enabled to render service to their Church, their country and their fellowman. Through membership they develop a consciousness of their ability to lead and to assist. Organized Columbianism, united behind individual Knights of Columbus, provides the power of an intelligent, alert body of Catholic men--a strength which the individual by himself cannot achieve. Knights of Columbus have a proud heritage. A qualified Catholic man can share in that heritage and build an even greater future by affiliating himself with this forceful, effective body. Another Degree open to members of the Knights of Columbus is that of the Fourth (or Patriotic) Degree. On February 22, 1900, the first exemplification of that Degree was held in New York City. The ritual added patriotism to the three original principles of the Order: charity, unity and fraternity. Any Third Degree member in good standing, is eligible for membership in the Fourth Degree. 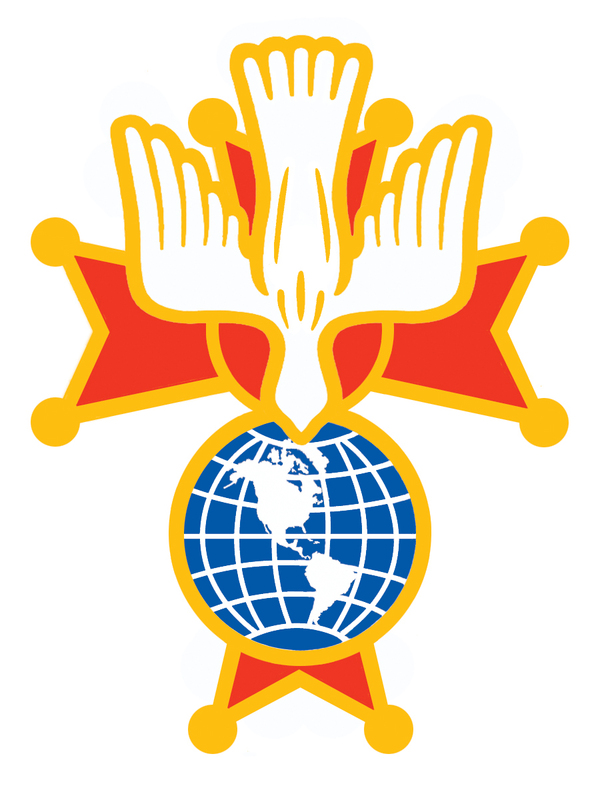 Certain members of the Fourth Degree serve as Honour Guards at civic and religious functions, an activity which has brought worldwide recognition to the Knights of Columbus organization. The Assembly associated with Divine Infant Council 7873 among other Councils within District 66, is Bishop John Beahen Assembly 2230. Please be sure to visit us again soon! To send a note to the Web master, please CLICK HERE!. The Knights of Columbus has established a new Web site (Click Here) to honour the life and legacy of Father Michael J. McGivney, founder of the Order. God, our Father, protector of the poor and defender of the widow and orphan, You called Your priest, Father Michael J. McGivney, to be an apostle of Christian family life and to lead the young to the generous service of their neighbour. Through the example of his life and virtue may we follow Your Son, Jesus Christ, more closely, fulfilling His commandment of charity and building up His Body which is the Church. Let the inspiration of Your servant prompt us to greater confidence in Your love, so that we may continue his work of caring for the needy and the outcast. We humbly ask that You glorify Your servant, Father Michael J. McGivney on earth, according to the design of Your holy will. Through his intercession, grant the favour I now present (here make your request). Through Jesus Christ our Lord. Amen. Our Father, Hail Mary ,Glory be to the Father.